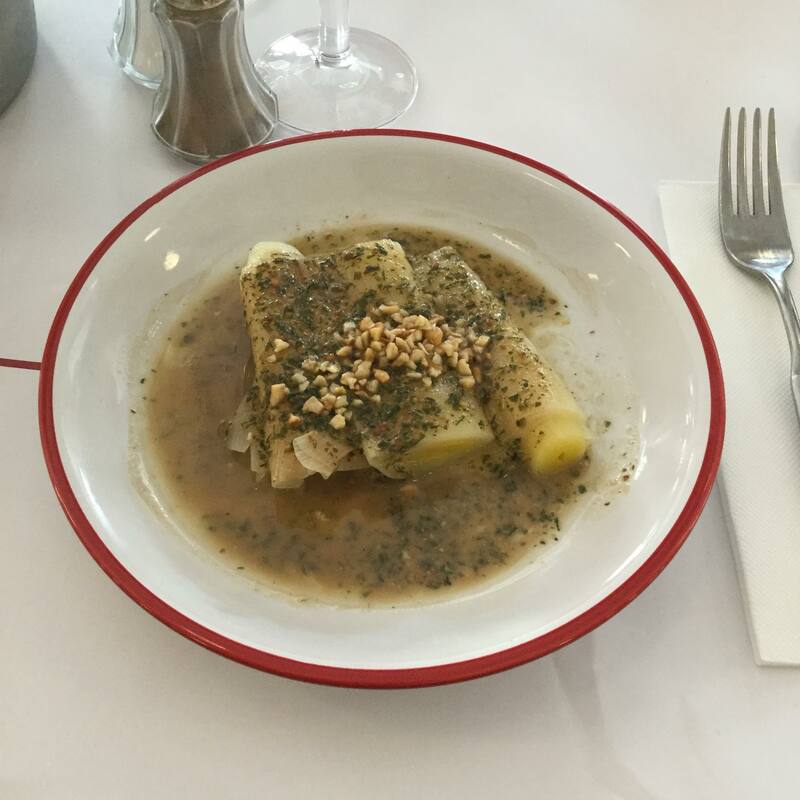 If you walk past boulevard Clichy in the evening, just across the street from Pigalle station, chances are you will witness a long line of people queuing up on the sidewalk, waiting to enter the very trendy and very delicious new restaurant Bouillon Pigalle. 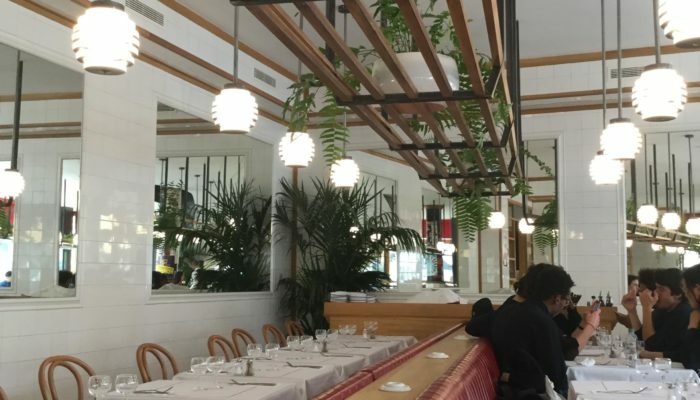 A nouveau spot incontournable in the XVIIIe arrondissement since last fall, the restaurant opened by les frères Moussié should be on everybody’s list. 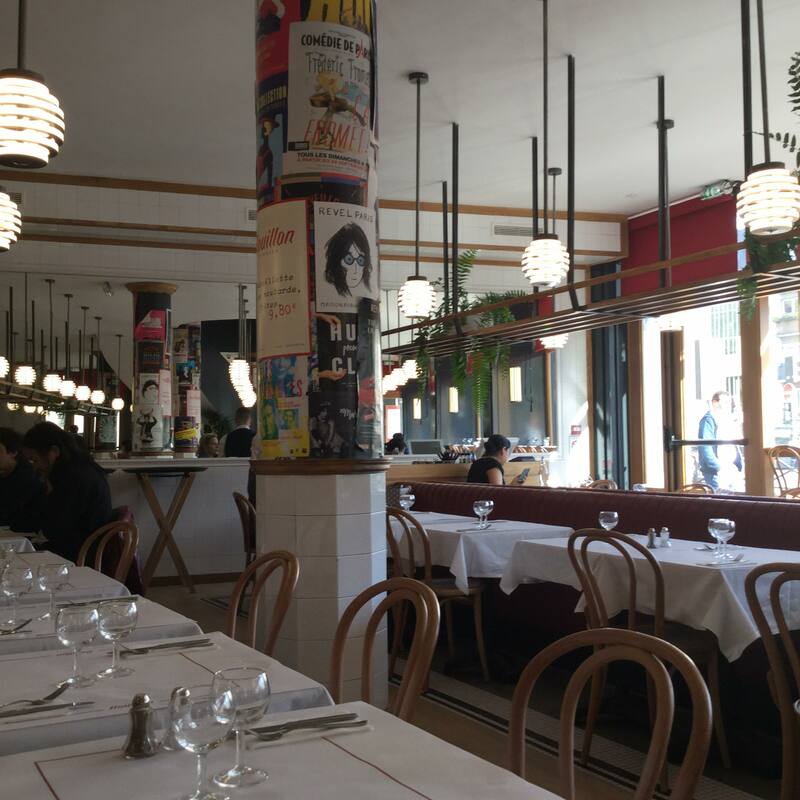 Located in a vibrant quartier (populaire, touristy, and hip all at once), Bouillon Pigalle can sit up to 300 customers in its luminous and vast two-floor space (plus terrace!). The red banquettes made of skaï paired with white tablecloths and efficient waiters all dressed in black offer an air of vieux Paris – undeniably charming and elegant. All is not allure though. From noon till midnight, the menu provides classic and traditional French dishes, from tartare de bœuf to blanquette de veau. 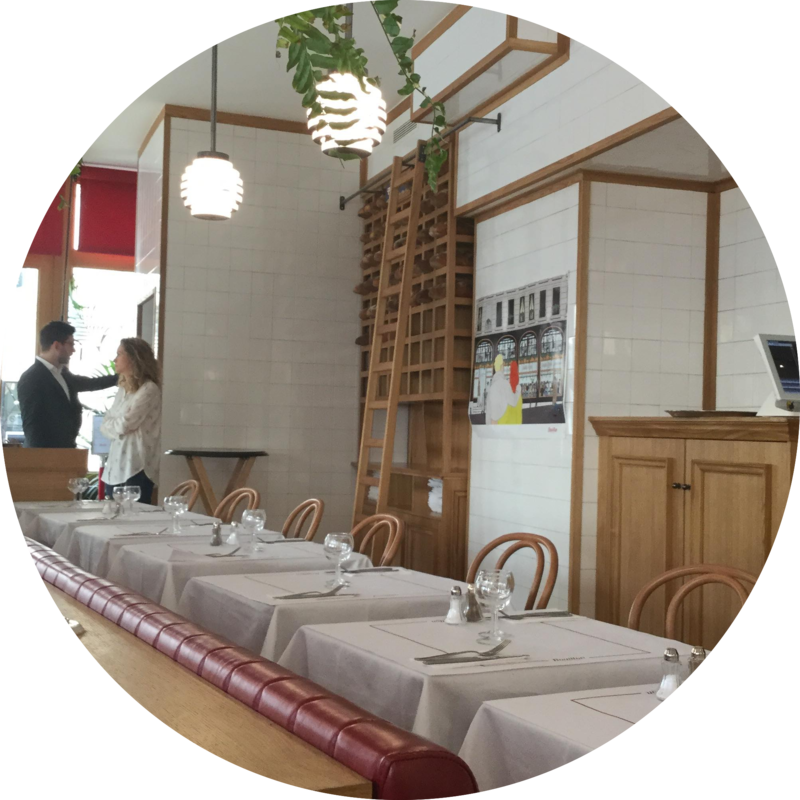 On my first visit there, my friends and I were impressed by the beauty of the place, the quality of the service, and the nourriture. I ordered a gratin de chou-fleur topped with a succulente sauce mornay, while mes amis chose the bifteck frites. A bunch of « miam » and « trop bon » confirmed that they were thrilled by their dinner, comme moi. 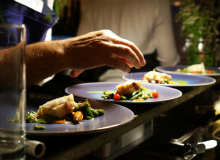 However, I have heard some other comments that on certain occasions the ambiance can be better than the food – why don’t you decide and let me know. Next time, I will try the brandade de morue or the cooked vegetables with mimolette sauce. I will go back more than once, suffice to say! Oh, let’s not forget: The entrées are just as appetizing (beans, cream lentils, homemade fries – just to name a few). Plus, a great restaurant in Paris is not great without a great selection of wine, and la carte des vins at Bouillon Pigalle doesn’t disappoint. Alors, what are you waiting for? 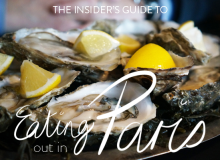 Go there the second you look for a place to eat in Paris – you will not regret it. 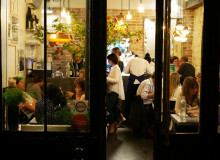 Or, as Piaf famously sang, you will leave Bouillon Pigalle thinking, « je ne regrette rien ». And another important point: the prices are surprisingly low for such high-quality food! On lunch hours and especially in the afternoon, you’ll be able to grab a bite without waiting. 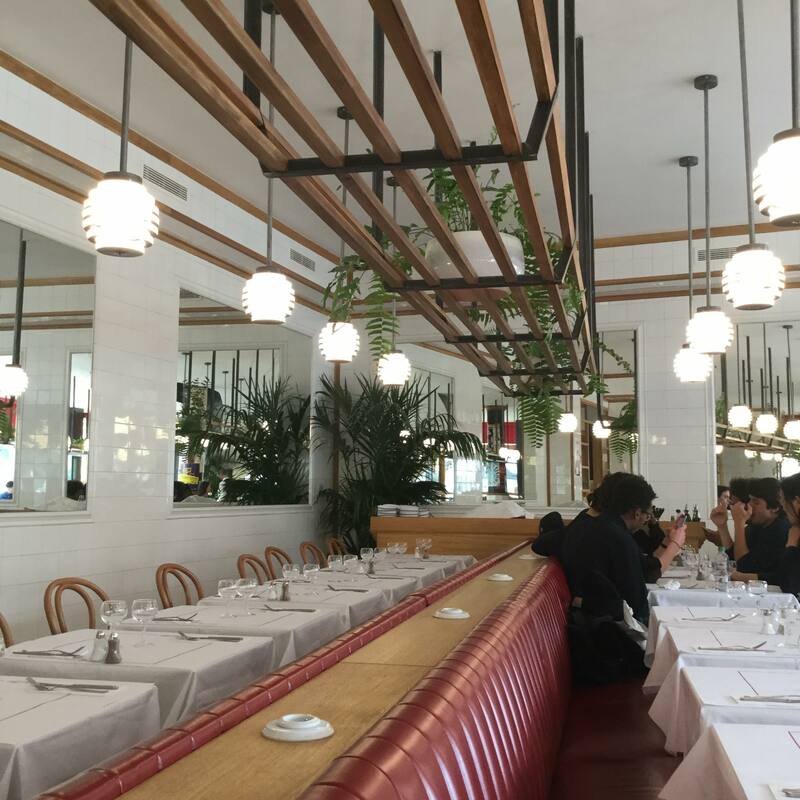 With its huge windows, some people prefer to eat their déjeuner or dinner sitting on the stools observing les passants in the place Pigalle just opposite. 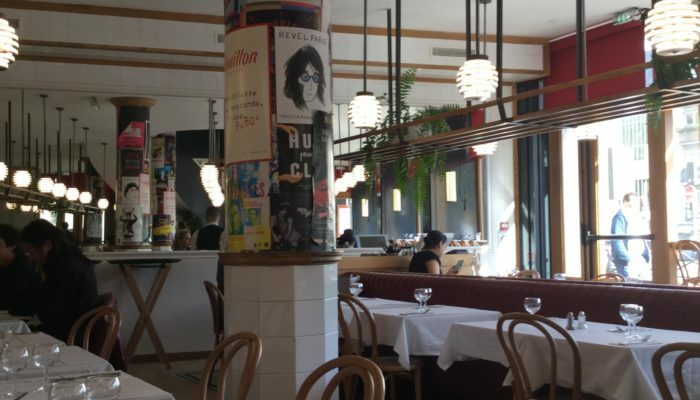 The space is at once modern and old-fashioned as if the new millennium and la Belle Époque were refreshingly merged at the corner of Boulevard Clichy. 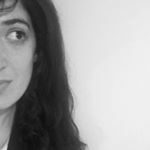 Le Bouillon, c’est tout bon ! 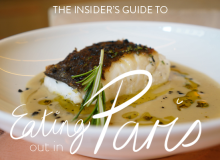 Have you ever dined at or heard of Bouillon Pigalle? Did you (or would you) enjoy eating there? We’d love to hear your thoughts and comments in the box below.